Located steps from the corner of Richmond Street West and Spadina Avenue, at the base of Fabrik, a luxury 171-unit condominium with occupancy in the Summer of 2016. 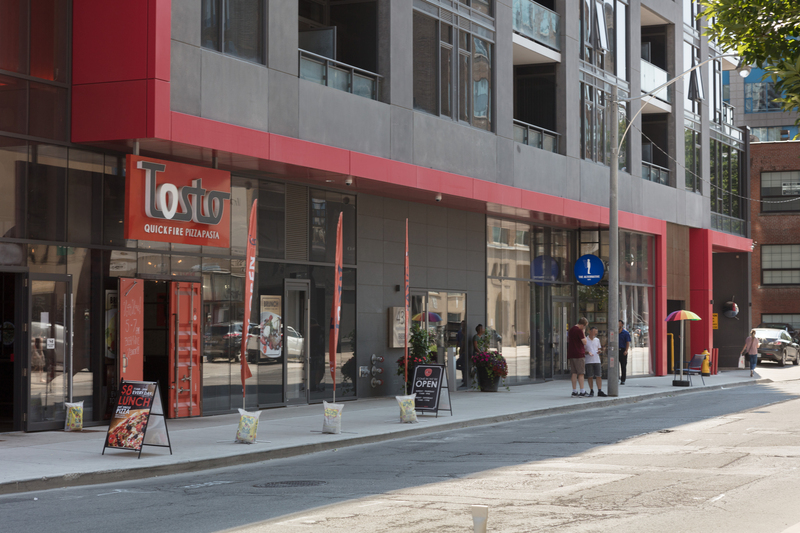 This prime 4,000 square feet of retail is situated in the heart of the Entertainment District, a 24/7 neighbourhood where business and lifestyle collide. With open and bright space offering efficient layouts and generous ceiling heights, the retail space is ideal for a wide variety of uses, including restaurants, grocery, pharmacy and services uses.